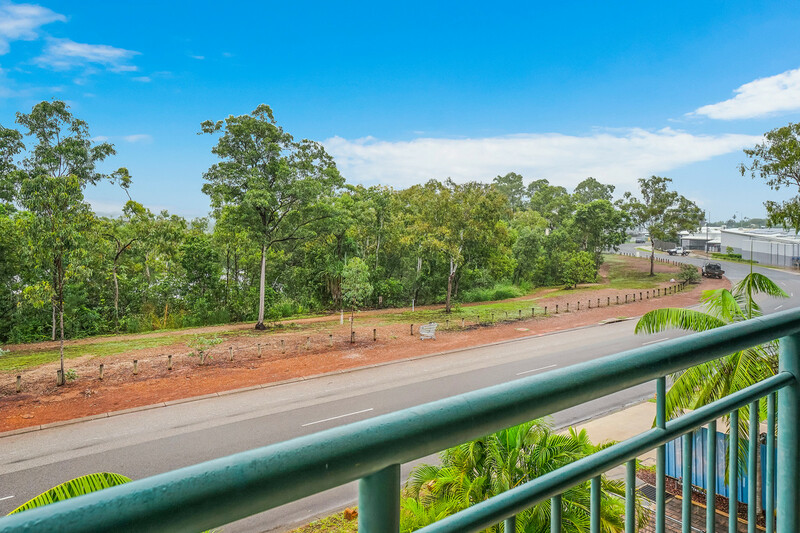 This stylish top-floor apartment has been superbly renovated throughout and boasts an impressive designer kitchen, quality modern bathroom, and a private bushland outlook from the large corner balcony. 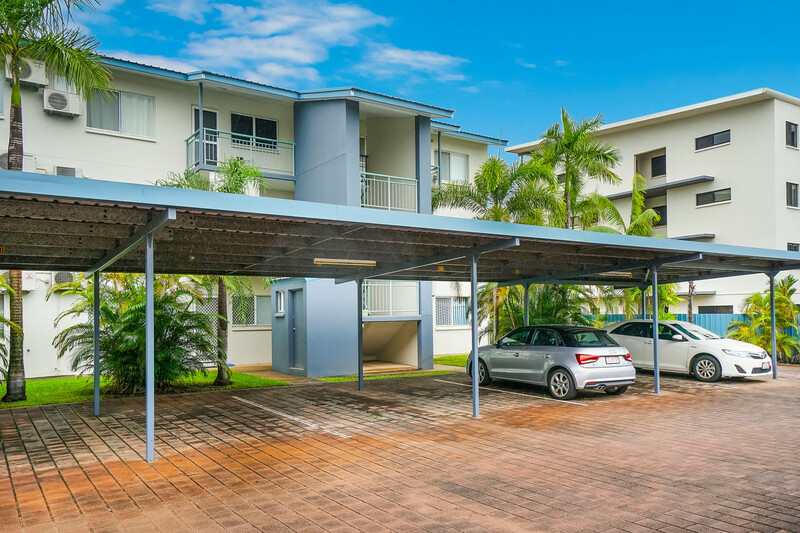 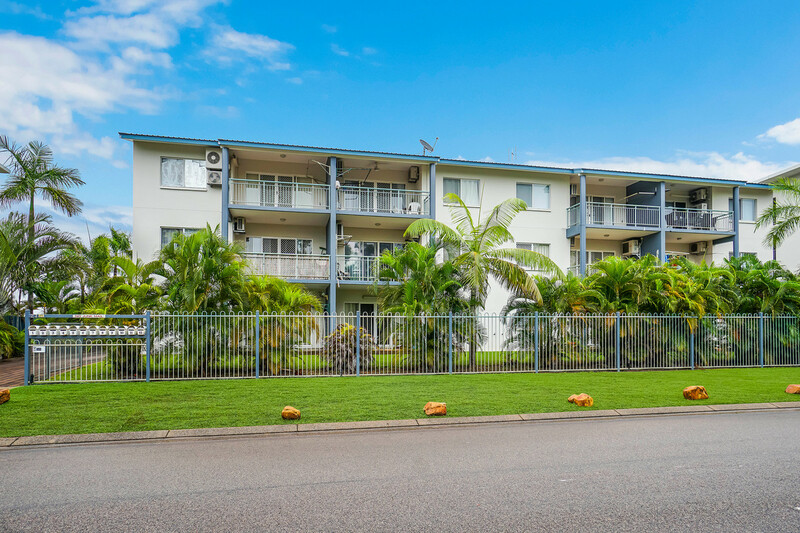 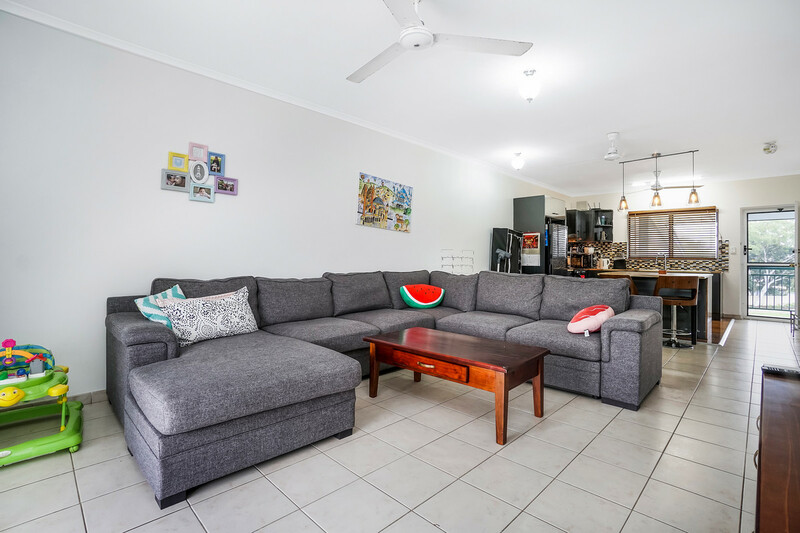 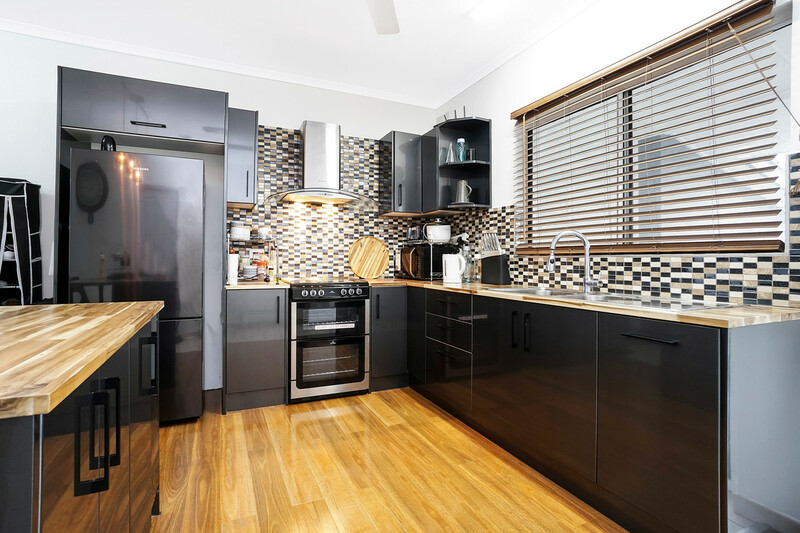 You’ll also love this convenient central location that is walking distance to Bakewell shops and Woolworths, close to schools and bus stops, and six minutes to Palmerston Shopping Centre. 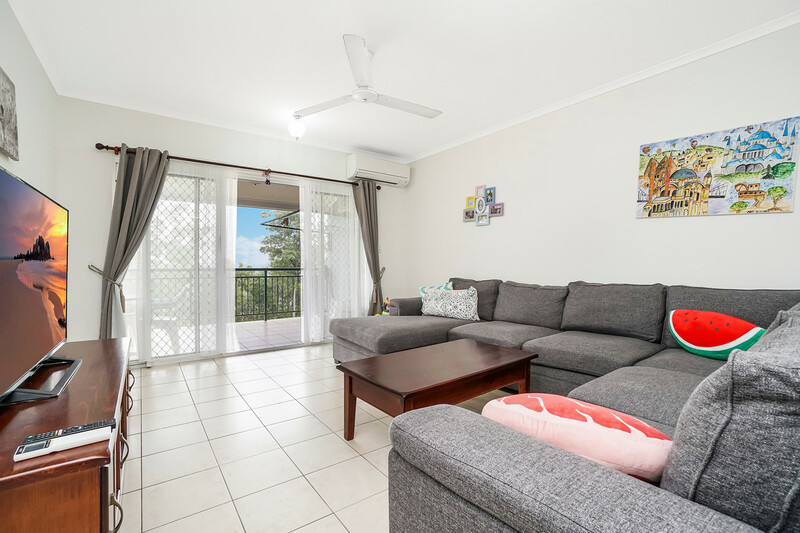 Abundant natural light and cooling tropical cross breezes create a fresh contemporary feel in this stylishly renovated apartment and is ready and waiting for you to move straight in with no work left to do. 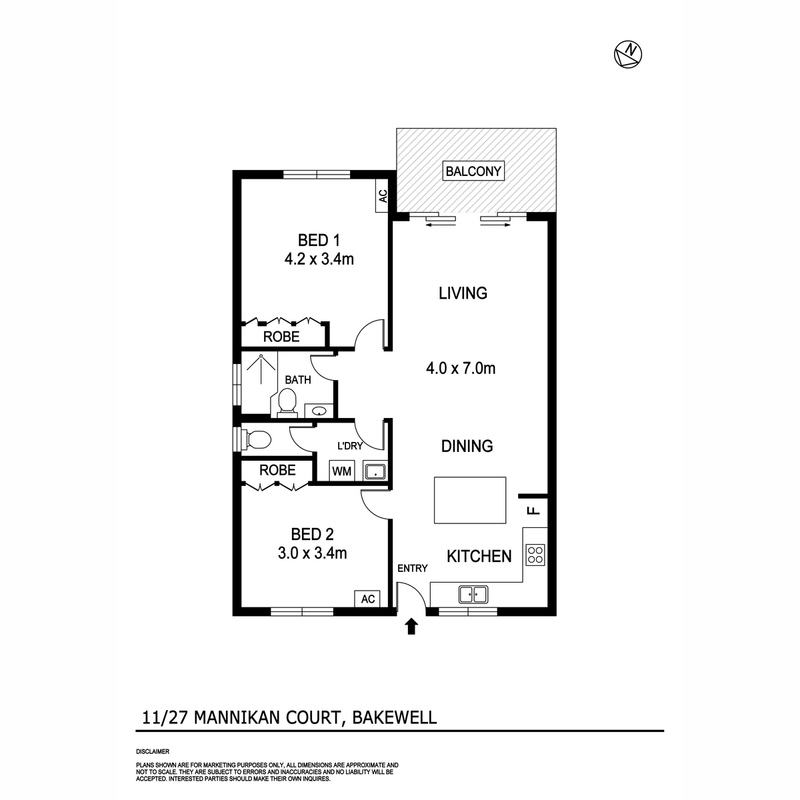 Enter via an external staircase and onto the front balcony in a private top-floor position with no passing foot traffic. 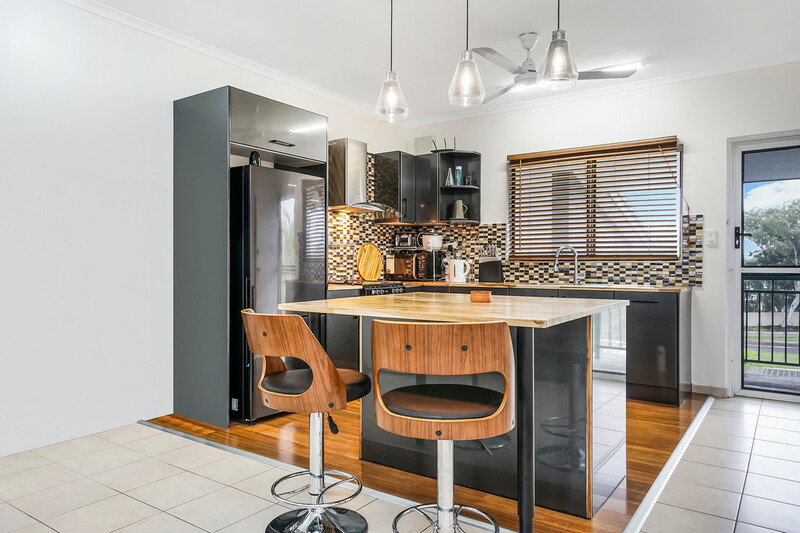 Continue into the bright open-plan living/dining area where the striking designer kitchen creates modern impact with stylish contemporary cabinetry, stunning timber bench tops and a mosaic tiled splashback. 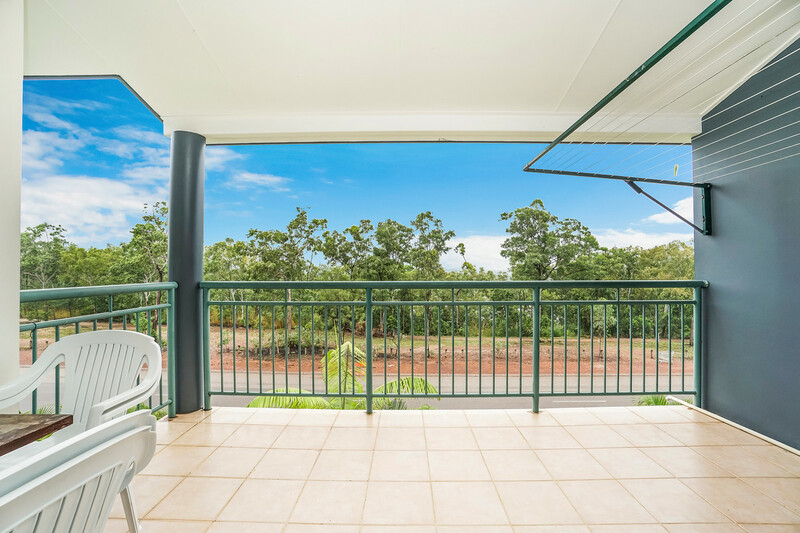 corner balcony where you’ll enjoy peaceful alfresco entertaining with lush bushland views. 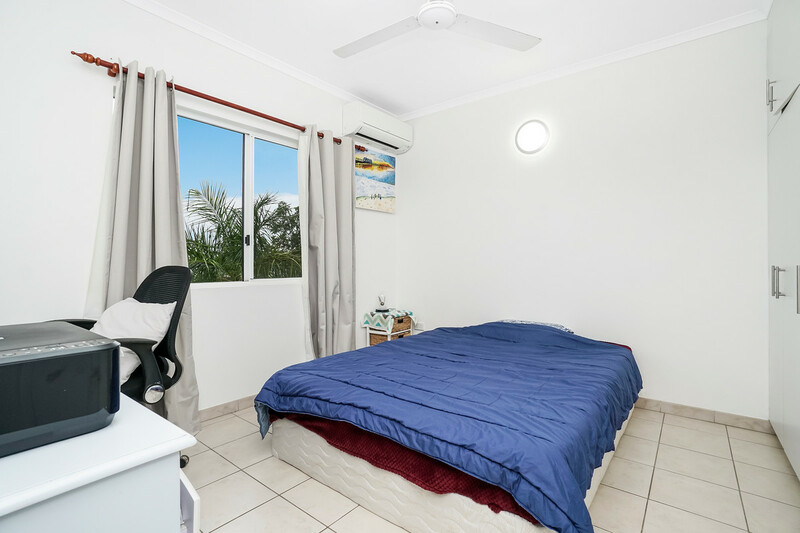 Two generous bedrooms – both with built-in robes – join the main bathroom and separate internal laundry off the main living/dining area. 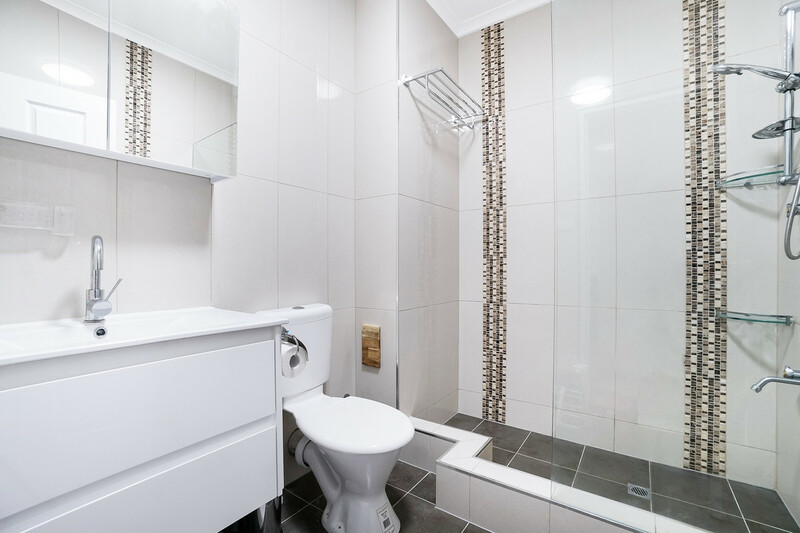 Floor-to-ceiling tiles, a large frameless glass shower, a contemporary vanity and wall-hung mirrored cabinetry star in the beautifully renovated main bathroom, and a second toilet off the well-equipped internal laundry adds convenience.